Hello and Happy Mother’s Day! Here at the Make Shoppe we’ve whipped up some treats that you can make and give to Mom. 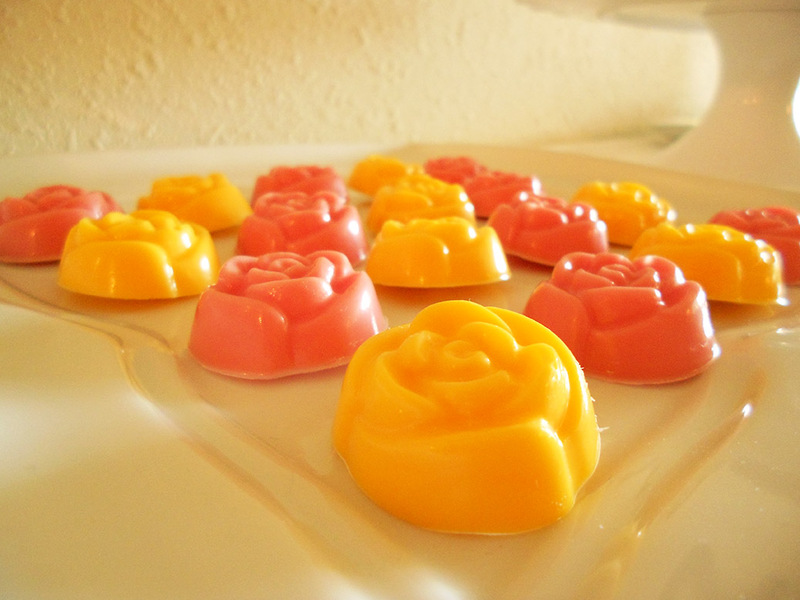 These pretty floral candy molds were extremely easy to make! All you need is some melting candy chips and a candy mold. There are a variety of colors to choose from but the choice of flavors are pretty standard (chocolate, vanilla or mint). I chose my candy colors based on what I felt complimented the other goodies I made. If you’re goal is to create a really unique color you could also start with a white chocolate or vanilla candy base and die the candy with food coloring however I generally use the pre-colored candies. I usually shop at Michaels for all my candy making items. The different molds choices are really cute and I see new ones all the time. I also whipped up some cupcakes with a cinnamon based cream cheese frosting. I am just so addicted to this I don’t think I’ll ever make this frosting WITHOUT THE CINNAMON! Oh my Gosh! You must try this on your next batch of cupcakes! With an electric mixer, mix the butter and cream cheese together for about 3 minutes on medium speed until smooth. Scrape down the sides and bottom of bowl to ensure even mixing. Add the vanilla, cinnamon and mix. Then slowly add the powdered sugar and keep adding until you get to a desired sweetness and thickness. 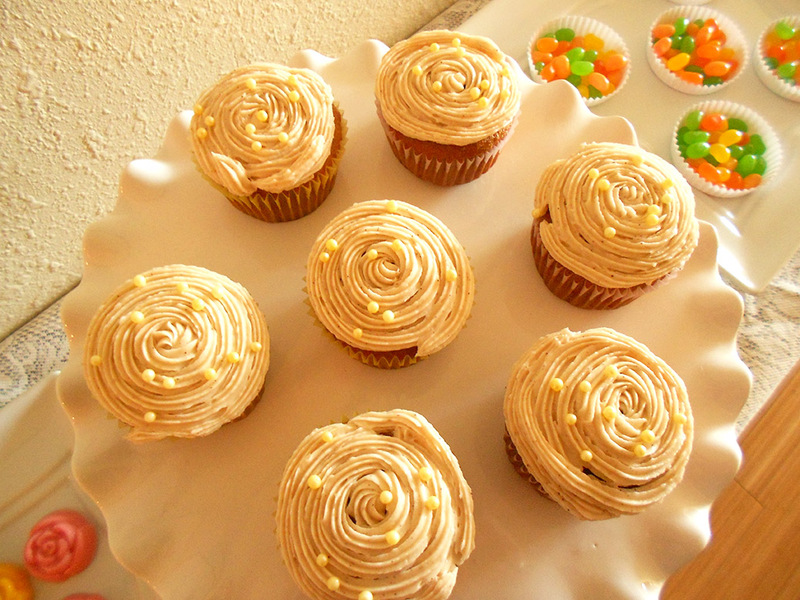 Spread on cooled cupcakes or use a fancy decorator. Sprinkle with edible decoration for extra pretty!